With the more technical aspects of IT taken over by the CTO, the role of the CIO has changed to focus only on the sourcing, provisioning and delivery of information as a strategic organizational resource. The BI competency is the primary group that he uses to implement this. 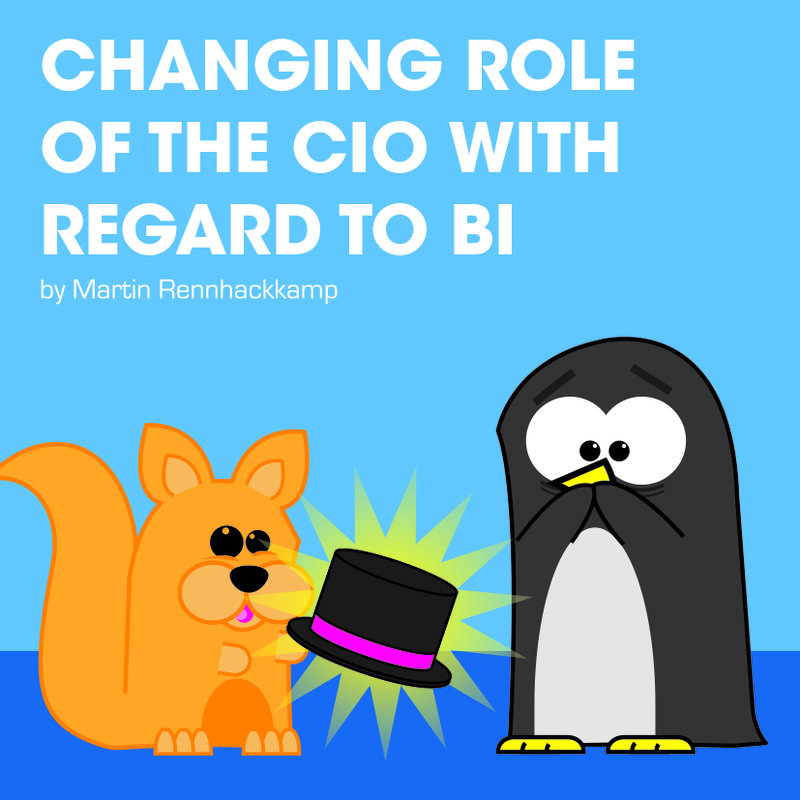 However there are some technologies such as mobile BI and cloud computing that the CIO must be very aware of, as they can play a key role in the execution of his strategic initiatives. The role of the CIO has been a contentious topic during the last few years. 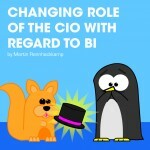 Due to the continual changes in the IT industry, the responsibilities of a typical CIO have changed rather drastically. Whereas the “old” CIO was responsible for IT in general, the modern CIO is primarily responsible for information, which is now properly recognized as a key organizational resource. Organizations that are serious about the proper utilization of information are splitting the more technical parts of the role off to CTOs, leaving the CIOs to focus on information only. The parameters and organisational measurables have been redefined for this relatively “new” view of the position, especially as information technology continues to evolve and as information is having a larger impact on almost every business process. Certainly Business Intelligence, as the competency put in place to source information and to deliver it throughout the business, has become one of the prime responsibilities of the CIO. Although the role is definitely becoming less technical, there are still complex technological challenges that today’s CIOs are faced with, such as Mobile BI and Big Data. Mobile BI is fast making headway in the BI space and will as a result, impact the way businesses look at and implement BI. This means that the CIO needs to not only fully understand this concept, but be able to make strategic decisions about how to utilize and deploy mobile BI within the organisation. Further to this, there are also concepts such as cloud computing that CIOs now need to consider. With this, the overall responsibilities of a CIO will increase. In order to adapt trends such as cloud computing successfully, the CIO needs to work closely with the CTO and IT department, to ensure that the information delivery maps back to the strategic initiatives of the company. In fact, in a recent study compiled by IBM Global (published by Gartner in Bizcomunity), 2598 CIOs revealed that in high-growth organisations they are now involved in helping set strategy, driving tangible innovation and optimising business processes. Today’s CIOs need to be proactive in understanding their full business environment, including the information and technology that the businesses is using. Having a full view of the business will empower them to make the right business decisions from a strategic point of view – resulting in a more successful company.